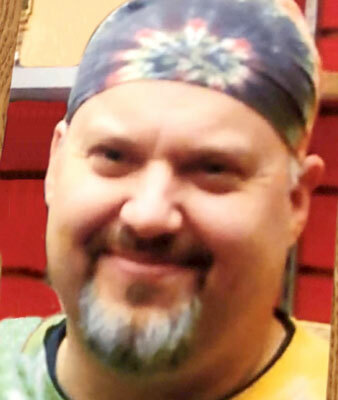 CONNEAUT  A memorial service will be held this Saturday at noon at the Forrest Lawn Memorial Park Chapel in Boardman for Richard Shane Fitch, 49, who passed away suddenly and unexpectedly at his home in Conneaut on Oct. 4, 2018. Richard was born Aug. 23,1969, in Youngstown, son of Richard Sr. and Donna (Pence) Fitch. He grew up in Boardman and graduated from Boardman High School in 1987. He attended Youngstown State University and was an early proponent of recycling programs. He would later move to Athens, Ohio, and attend Ohio University where he earned a bachelors degree in Environmental Studies. He would go on to take a job with prime engineering in Akron and lived in Solon, before living in Chardon. After briefly living in Eugene, Ore., he would settle in Conneaut, where he worked at C.W. and diligently cared for his ailing father, Richard, who preceded him in death. Rich would eventually own and operate a unique retail store in Ashtabula called Middle Earth Boutique and Green Earth Farm. Rich had many passions, he was incredibly knowledgeable about religion and spirituality, was an avid music lover of many genres, believed in racial equality, environmental and social justice, and was keenly aware of politics, political philosophy, and current events. But Richs deepest passion was peace and love. Love for his countless close friends and family, love for the planet and mother nature, and love for all humankind, a man that truly and genuinely cared for people of all religions and ethnicities as well as from all walks of life. He exhibited a penchant for advocacy of the less privileged and downtrodden while also promoting conflict resolution. He was truly a shepherd of lost souls. His loss is incalculable and he will be tremendously missed. He is survived by his mother, Donna Pence; brother Michael; sister-in-law Milagros Figueroa; adoptive daughter, Katie Behringer; aunts, uncles, cousins, nieces, nephews; and many beloved friends. Please make contributions in lieu of flowers, to Boys and Girls Clubs of America in Youngstown and Sojourner House. This is a casual and informal service, come in comfort as he would have wished.